A trip to St. Maarten-St. Martin allows you to discover two separate colonies occupying one small island of just 95 sq km (37 sq mi). Divided between France and the Netherlands, this tiny spit of land in the Caribbean treats visitors to a surprisingly diverse blend of native and European cultures. A tour of St. Maarten-St. Martin reveals a landscape of both urban and untamed areas, with sandy beaches and pristine rainforests often appearing as extensions of one another. The French north of the island offers a string of outstanding restaurants and lively beaches popular with a young party-loving crowd. The Dutch southern section lures visitors with its dynamic bar scene and casinos. St. Maarten-St. Martin is in Caribbean. 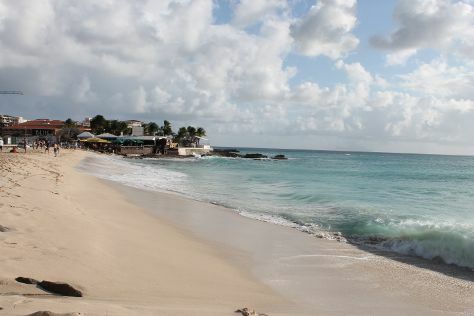 Make your own St. Maarten-St. Martin vacation itinerary, with a little help from those that know the place like the back of their hands, by using our St. Maarten-St. Martin trip planner.